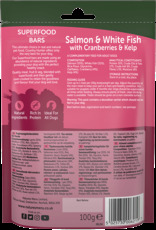 Delicious air-dried superfood bars made from the finest pieces of salmon and white fish, naturally blended with cranberries and kelp for a healthy and balanced snack. 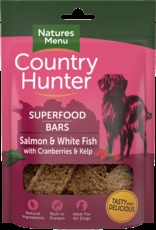 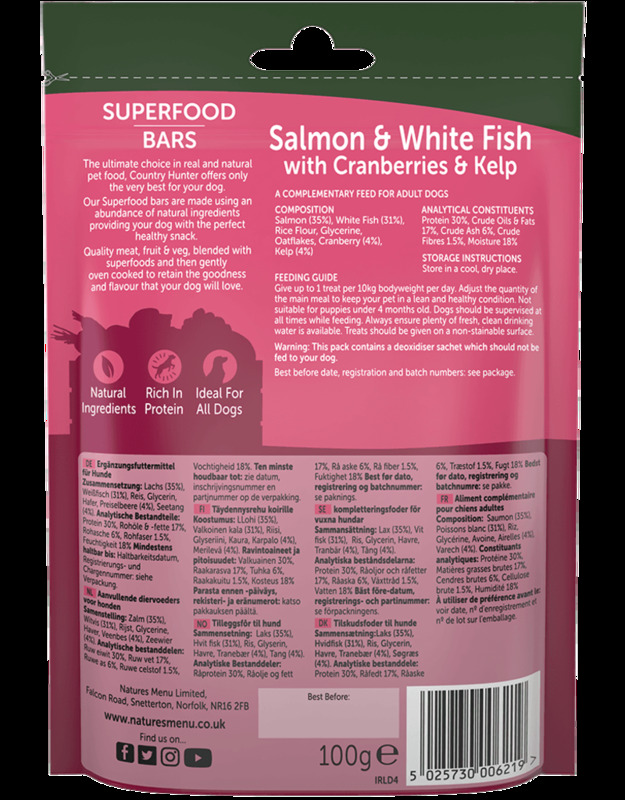 Superfood bars use quality cuts of salmon and white fish with a natural mix of cranberries and kelp to create a nutritious treat full of protein and omegas. 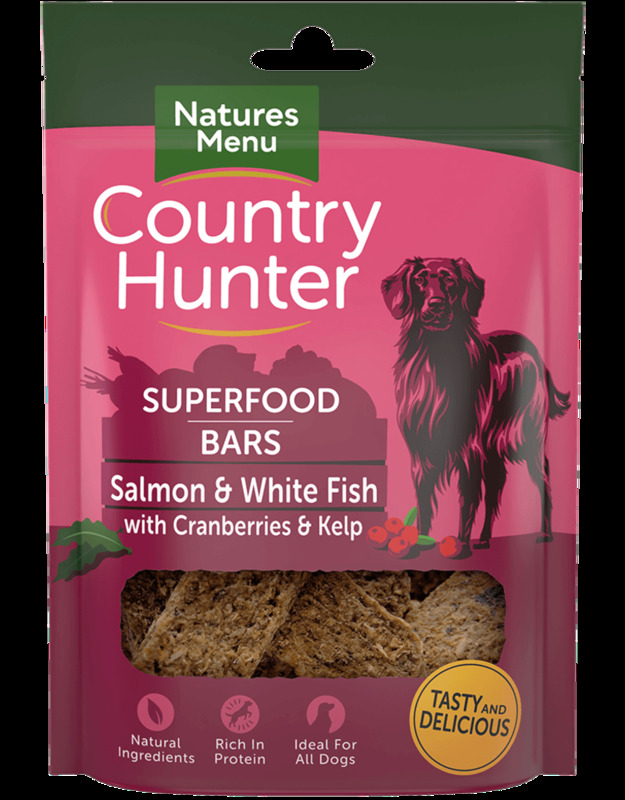 Gently air-dried to lock in all the goodness and flavour from the abundance of natural ingredients which provide a nutritionally balanced treat that your dog will love.